I treated each of my Mk6 Jettas to 3M clear bras within 24 hours of purchase. The hood on my Mk3 was chipped-up pretty bad after 10 years, so I hoped to protect my newer cars since I planned to keep them for a long time. Little did I know that Dieselgate would change that! HAHA! Anyway, the 3M clear bra is expensive, but I knew it was worth it after the first time I saw a rock fly over the center median and strike my hood without damaging it. 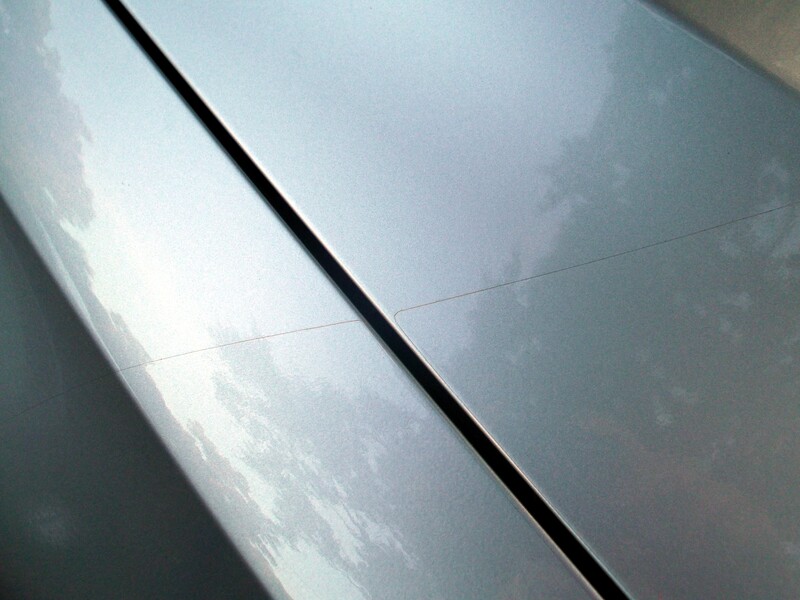 I inspected the hood after 50,000 miles and found several tiny gouges in the material, but none of the damage went through to the paint. I knew I wanted the same for my GTI! I wasn’t as quick to treat my GTI due to some scheduling conflicts. An appointment finally opened after 16 days and 1800 miles of ownership. I had 3M material applied to the hood, fenders, front bumper, headlights, mirror caps, and the rear bumper top. The material is guaranteed to not crack, peel, or yellow for seven years. The material is cut by a computer-aided laser cutter, but the installer does minor trimming to perfect the fit. This was particularly true in the case of my headlights and the area around my license plate. I used to share the name of the shop that did the work. However, they went out of business when the primary installer made a career change. Search 3M’s website for a local installer. I can’t think of much else to say. I’ve shared some photos below. Getting a 3M clearbra installed. Thank you for the fantastic review, it’s great to be appreciated. You’re welcome, Mike! Glad to share my experience.